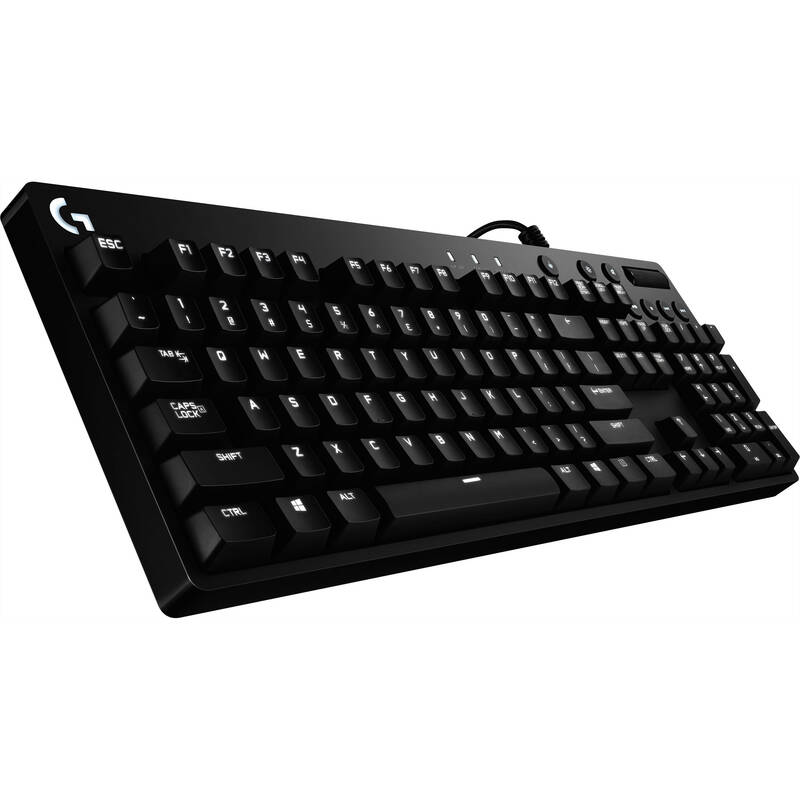 The Logitech G610 Orion Backlit Mechanical Keyboard provides you with the aesthetics and performance for gaming. It's built with Cherry MX Red Switches, which make minimal noise with a linear keypress for smooth, rapid actuation. For your convenience, it has built-in media control keys as well as a roller for quick and easy access to play, pause, volume adjustment, and more. 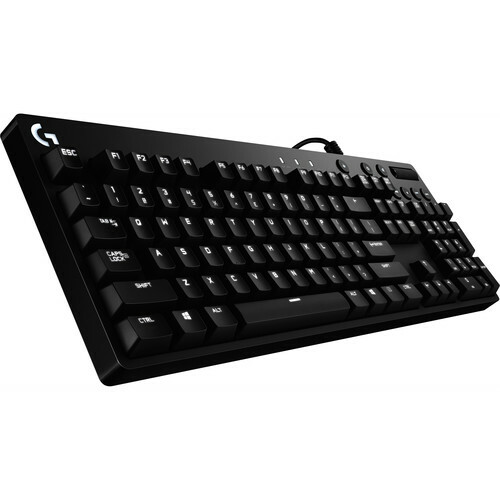 To unlock the full capabilities and features of this keyboard including white LED backlight options, macro functionality, Game Mode, and more, be sure to download Logitech's gaming software. Mechanical keyboards utilize a different type of key switch technology for a more durable and unique typing experience. The Cherry MX Red switch has an actuation force of 45 g and features a linear travel with no tactile bump. This can be beneficial for users who don't need the tactility of other switches. Additionally, with close actuation and release points, Cherry MX Red switches allow for easier double-tapping. Unlike Cherry MX Blue switches, these do not have an audible "click" mechanism, allowing for a quieter operation. Noise generated from this keyboard will be from the key either springing back into place or "bottoming out" – making contact with the back plate after a particularly hard press. Choose your level of customization by selecting and personalizing each individual key light with the Logitech Gaming Software. Keep track of multiple commands by customizing the light-up keys. The Logitech Gaming software can also synchronize light patterns with other Logitech G devices. Stay in your game while you control your background track. The G610 keyboard features dedicated media controls that can be used to play, pause, and mute music and videos instantly. Skip to the next song with the touch of a button, or use the roller to adjust the volume. Execute every complex move at the right time with multi-key input. With 26-key rollover, you can press a number of keys plus modifier keys (Control, Alt, Shift) in any order and still get exactly what you intended. Box Dimensions (LxWxH) 18.25 x 7.75 x 2.0"
G610 Orion Backlit Mechanical Keyboard is rated 4.0 out of 5 by 1. Rated 4 out of 5 by William from Amazing Build Quality Board came in and I loved it, smooth to the touch and the metal finish is amazing. Very heavy and made well, don’t see it breaking at all. 4/5 because the key caps aren’t the best but it’s great every way else. Replaced it for my g pro because I wanted to try the ten key but ended up taking up too much desk space. Would recommend and buy again if I had a bigger desk.